Just as we expected, Sprint has officially taken the wraps off the HTC EVO 4G LTE at a press conference in New York on Wednesday. Based on the mighty impressive HTC One X hardware we reviewed earlier this week — though with its own unique design, including a kickstand — the device is slated to arrive sometime in Q2 for $199.99, with presales beginning May 7. Original HTC EVO 4G owners just got an incredible reason to upgrade. We’ll have more on this device live from the event, so stay tuned. HTC EVO 4G LTE will be available in the second quarter for $199.99 (excludes taxes and surcharges). The availability date will be announced later. Customers can sign up for updates today at HYPERLINK “http://www.sprint.com/evo4glte” www.sprint.com/evo4glte, and pre-order will begin Monday, May 7, at HYPERLINK “http://www.sprint.com” www.sprint.com. HD Voice is the next-generation evolution of voice quality and the future of voice communications for mobile phones. The service will provide fuller, more natural-sounding and less fatiguing voice quality and should reduce troublesome background noises often found in a cafe or on the street.2 Users should expect to identify voices and hear every word better than ever. 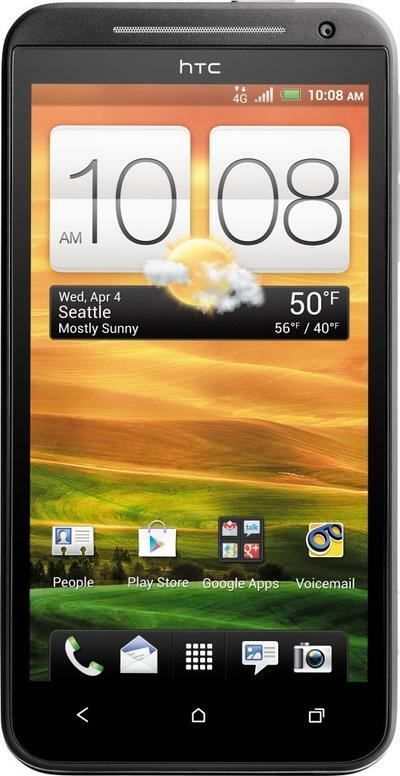 Sprint’s commitment to HD Voice starts with HTC EVO 4G LTE, Sprint’s first HD Voice capable device. Sprint recently announced Atlanta, Baltimore, Dallas, Houston, Kansas City and San Antonio are expected to have 4G LTE and enhanced 3G service in mid-year 2012. Sprint 4G LTE will enable faster speeds for data applications, and the enhanced 3G service promises better signal strength, faster data speeds, expanded coverage and better in-building performance. The launch of these large metropolitan areas demonstrates the continued commitment by Sprint to invest in its network through Network Vision. Sprint customers in these areas will soon enjoy ultra-fast data speeds and improved 3G voice quality. Whether a Sprint customer is using a smartphone to share a video, checking the Web via a mobile hotspot, Sprint 4G LTE will make it easier. And, when someone makes an important voice call, they can expect to find a clearer connection and a stronger signal in more areas. For the most up-to-date details on Sprint’s 4G LTE rollout, please visit HYPERLINK “http://www.sprint.com/4GLTE” www.sprint.com/4GLTE. Sprint Nextel offers a comprehensive range of wireless and wireline communications services bringing the freedom of mobility to consumers, businesses and government users. Sprint Nextel served more than 55 million customers at the end of 2011 and is widely recognized for developing, engineering and deploying innovative technologies, including the first wireless 4G service from a national carrier in the United States; offering industry-leading mobile data services, leading prepaid brands including Virgin Mobile USA, Boost Mobile, and Assurance Wireless; instant national and international push-to-talk capabilities; and a global Tier 1 Internet backbone. Newsweek ranked Sprint No. 3 in its 2011 Green Rankings, listing it as one of the nation’s greenest companies, the highest of any telecommunications company. You can learn more and visit Sprint at HYPERLINK “http://www.sprint.com” www.sprint.com or HYPERLINK “http://www.facebook.com/sprint” www.facebook.com/sprint and HYPERLINK “http://www.twitter.com/sprint” www.twitter.com/sprint. Visit the Image Gallery in the Sprint Newsroom, HYPERLINK “http://www.sprint.com/newswroom” www.sprint.com/newswroom, for more information and images. 2Initial market network deployments beginning in late 2012 for 3G Requires each party to use a Sprint HD Voice capable phone calling on a Sprint 3G HD Voice enabled market. 3Price includes $10 Premium Data Add-on charge.